PASADENA, Calif. — The success a pair of cubesats achieved in relaying telemetry from NASA’s InSight Mars lander demonstrates that such spacecraft can play increasing roles in future deep space missions, spacecraft designers believe. The twin Mars Cube One, or MarCO, cubesats launched as secondary payloads with the InSight spacecraft in May and flew by Mars as InSight landed on the planet. The cubesats, intended primarily as technology demonstrations, were designed to provide a realtime relay of telemetry from InSight during landing, without which it would have been hours before controllers knew if the spacecraft had landed successfully. Although NASA emphasized the experimental nature of the cubesats prior to the landing, the MarCO spacecraft performed as intended, receiving the UHF telemetry from InSight during its entry, descent and landing phase and rebroadcasting it at X-band frequencies received by NASA’s Deep Space Network. The MarCO primary mission will last about two more weeks, he said. The two spacecraft will return other data collected during the flying, including telemetry about the health of the cubesats themselves and potentially other images of Mars taken during close approach. 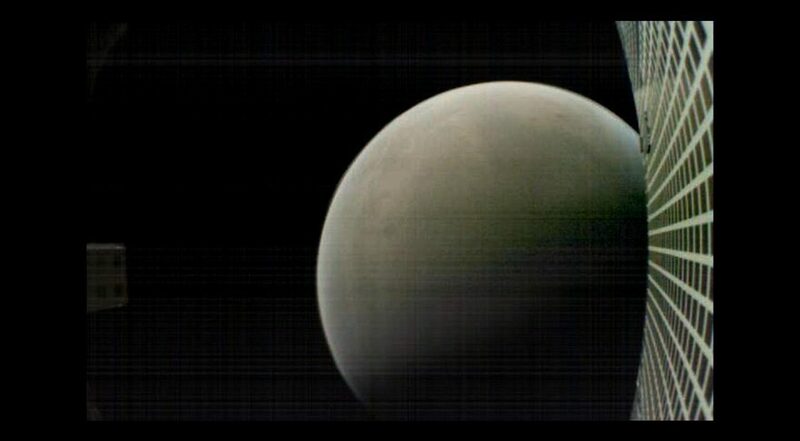 The MarCO-A cubesat also indirectly performed science during the flyby as its radio signals were occluded by the planet as it passed behind Mars. Measurement of the changes in signal as it passed through the planet’s atmosphere just before and after being blocked by the planet itself could provide information about atmospheric conditions. “With that, we’re actually doing atmospheric science as we’re passing by Mars, and we’ll be digging through that data as well,” Klesh said. NASA has increasingly shown an interest in using cubesats and other small satellites for a variety of science missions, initially in Earth science and heliophysics but now also astrophysics and planetary science. NASA hasn’t committed to a MarCO-like mission for its next Mars lander, the Mars 2020 rover, but Klesh said the success of MarCO has opened the door to that and other uses of smallsats in deep space.